Sea lice are the most significant and widespread parasites in open sea aquaculture, causing health issues to cultured fish and a severe risk for the marine environment. The economic damage resulting of sea lice exceeds € 1 billion per year globally in reduced production, quality and pharmacological treatment costs. A European Consortium, coordinated by LG Sonic, started the LiceSonic Project to develop an environmentally friendly solution to control sea lice in open finfish production. Salmon farms are facing growing problems from sea lice. Severe outbreaks of sea lice in Norway and Scotland as well as a toxic algal bloom that hit Chile in early 2016 resulted in a global supply decline of 9 percent. Most common practice for targeting sea lice in fish farms is the use of bio-active treatment. However, regulations regarding pharmaceutical treatment become stricter, while sea lice are beginning to show resistance to these treatments. In addition, the health regulations in the European Union leads to further restriction of the use of these substances, since residual amount leak into the environment where they often affect other marine life. Innovations in sea lice treatment are desperately needed as the use of bioactive substances is becoming less effective and cannot be further increased as wild salmon populations and the ecosystem need protection. As global consumption of animal protein depends more on fish as a resource, a radical new approach to healthy fish farming is strongly needed. Specific ultrasonic sound waves are proven to be effective to control micro-organisms such as algae and biofouling. However, ultrasound solutions have never been developed specifically to abate sea lice in open sea environments. The objective of the consortium it to develop a system that only targets sea lice when they are present in the facility, by combining ultrasound technology with fish- and water quality monitoring. A first feasibility study has proven that ultrasound technology is able to reduce up to 60% of sea lice that is attached to salmon. The ultrasonic frequencies do not cause any disturbance to the salmon and is allowing them to move about in their cages without stress. As opposed to current treatments, sea lice will not develop any resistance to the LiceSonic system, since different frequencies of ultrasonic waves can be used. LiceSonic is a Eurostars project coordinated by LG Sonic. Eurostars is co-funded by Eureka Member Countries and European Union Horizon 2020 Framework Programme. The other two consortium partners are the Romanian data and software company, Control Data Systems SRL and Sonic Norway AS, which will be responsible for the exploitation of the ultrasonic solution to the salmon farming industry in Norway, Scotland and the Faroe Islands. The project officially started at the first of May 2017 and will take 30-months. 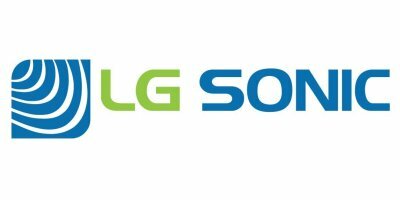 For the last 15 years, LG Sonic has been focusing on algae and biofouling control using ultrasonic technology. Their experience in R&D and successful market penetration and product exploitation has been shown in the successful execution of different European Funded (FP7) projects of which LG Sonic have been the coordinator (Clearwater-PMPC, DRONIC), or participated as a collaborator (CHEM-FREE (FP6), FISH-CWUS (EUREKA), Raak-MKB). No comments were found for European Consortium Receives €2.2 Million to Develop Safe Solution to Control Sea Lice. Be the first to comment!